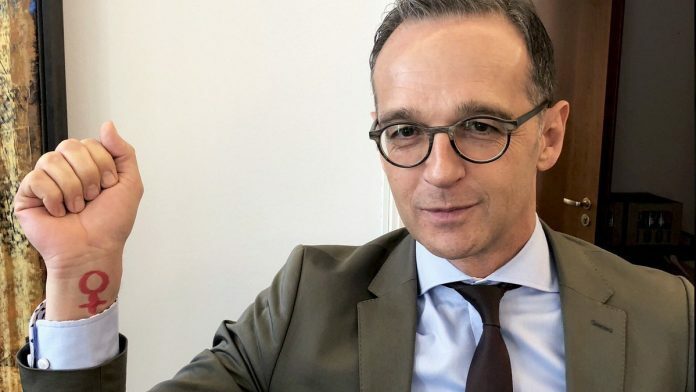 Germany's foreign minister Maas also called Prime Minister Imran Khan to discuss Pakistan-German relations and the security situation in the region. Islamabad: Seeking to downplay global pressure on Pakistan, Foreign Minister Shah Mehmood Qureshi Tuesday told his German counterpart Heiko Maas that Islamabad was acting against terror groups under a national plan formulated after a horrific terror attack in Peshawar in 2014. Qureshi’s statement comes at a time when the international community, especially the US, alarmed by the India-Pakistan tensions after the Pulwama terror attack, is pressing Pakistan to take “sustained and irreversible” actions against all terror groups operating on its soil with impunity. The Pulwama terror attack by a suicide bomber of Pakistan-based Jaish-e-Muhammed (JeM) killed 40 CRPF personnel in Kashmir’s Pulwama district on February 14, escalating tensions between India and Pakistan. “Fighting terrorism is a global and regional challenge and Pakistan has taken a lot of action, political steps to eradicate this menace. “The evolution of National Action Plan (NAP) and the horrific incident of Army Public School was a watershed moment for us, Qureshi said at a joint press conference with his German counterpart Heiko Maas. “Pakistan is taking steps to deal with extremism in consultation with the political leadership,” Qureshi said. The NAP to combat terrorism was formulated after the terror attack on Army Public School in Peshawar in December 2014 that killed nearly 150 people, mostly students. “If there are human rights violations…., then there will be a reaction and that reaction, at times, is difficult to contain,” Qureshi was quoted as saying by Dawn news. He reiterated Pakistan’s stance that “dialogue was the only way forward”. The German foreign minister suggested that negotiations be held for de-escalation in tensions between Pakistan and India and for resolution of the Kashmir dispute. Maas also called on Prime Minister Imran Khan at the PM House. The two leaders also discussed Pak-German relations and the security situation in the region, it said. Amid mounting outrage in India over the Pulwama terror attack, the Indian Air Force carried out a counter-terror operation, hitting the biggest JeM training camp in Balakot, deep inside Pakistan on February 26. The next day, Pakistan Air Force retaliated and downed a MiG-21 in an aerial combat and captured Indian pilot, who was handed over to India on March 1. The ongoing peace process in Afghanistan also came under discussion during the meeting of the two foriegn ministers. Maas lauded Pakistan’s efforts to arrange talks between the United States and Afghan Taliban so the parties could find a solution to a 17-year-old conflict.